Intense golden color with tones of bronze. Clean and full bodied. Refined aromas of oak, chocolate, dry fruits and butter. A pleasant spice at the tongue, it has flavors of black and green pepper, white oak, vanilla, and maple honey. 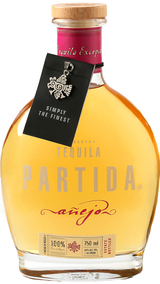 Although it has 18 months of aging the flavor of agave is still present.